Tesla Delauter attended York College’s Fall Festival on October 1st 2011. 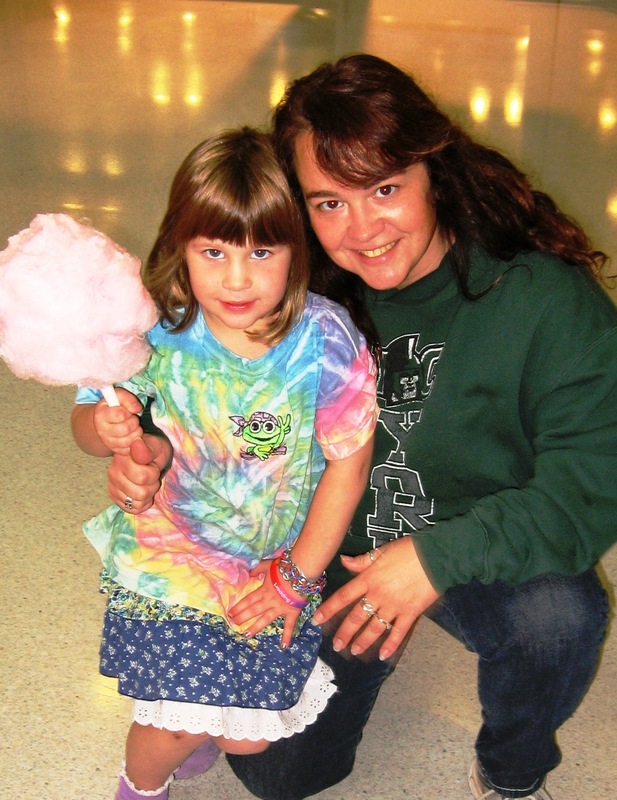 Ms. Delauter identified herself as a future YCP student, in approximately the Fall of 2024. 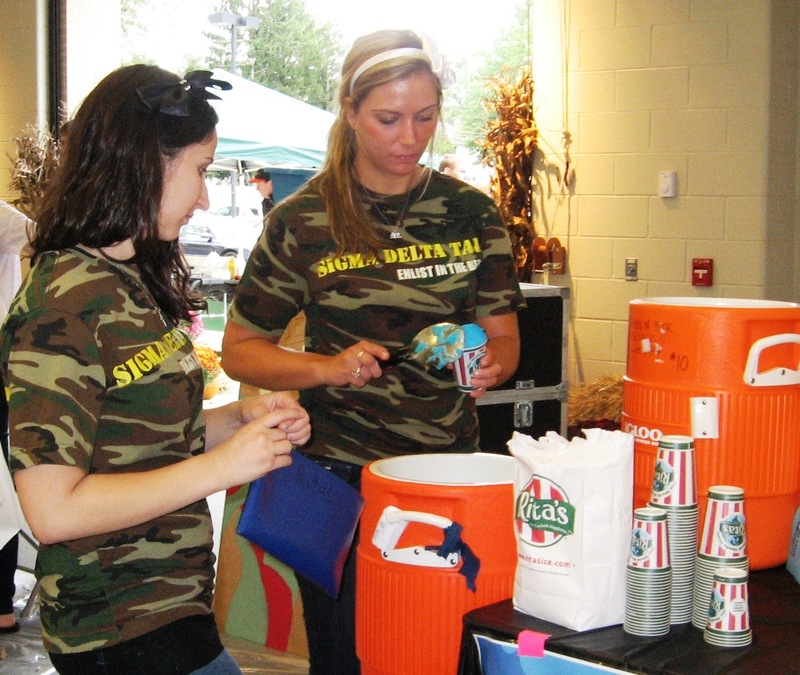 In the meantime, she attended the activities on campus with her mom, sophomore, Pattie Crider. 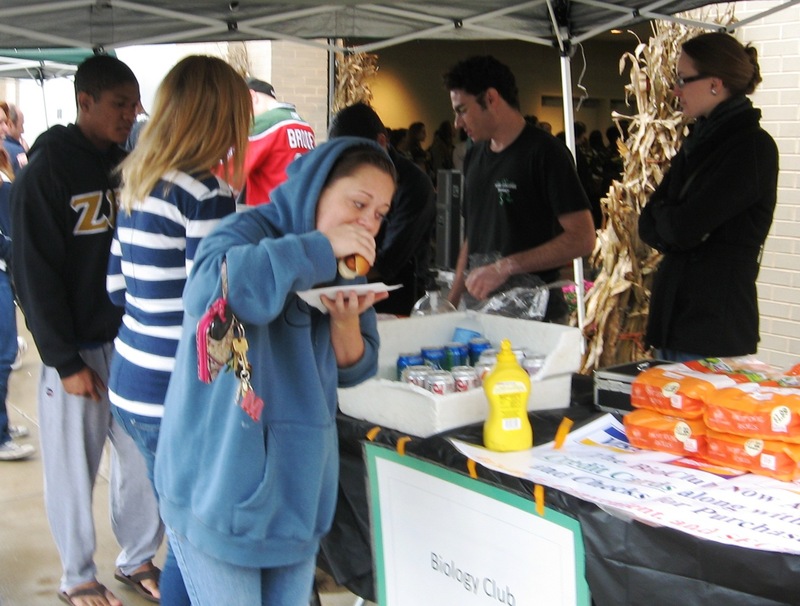 The 2011 Fall Festival was moved indoors at the Field House on West Campus. The rainy weather did not keep people away. On her way to the “Lego table”, Tesla was side-tracked by the Ski & Outdoor Club who bribed her attention by waving candy in the air. Her mom broke a $20 for that “Krabby Pattie” snack. 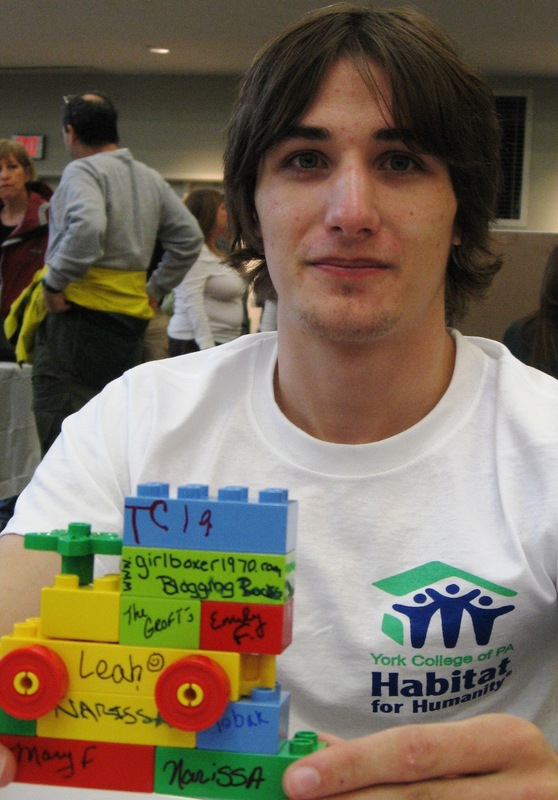 Next table was Habitat for Humanity where Tesla bought a Lego block. Each block helped to build a Lego house, which raises funds to build a real house for a family in need. 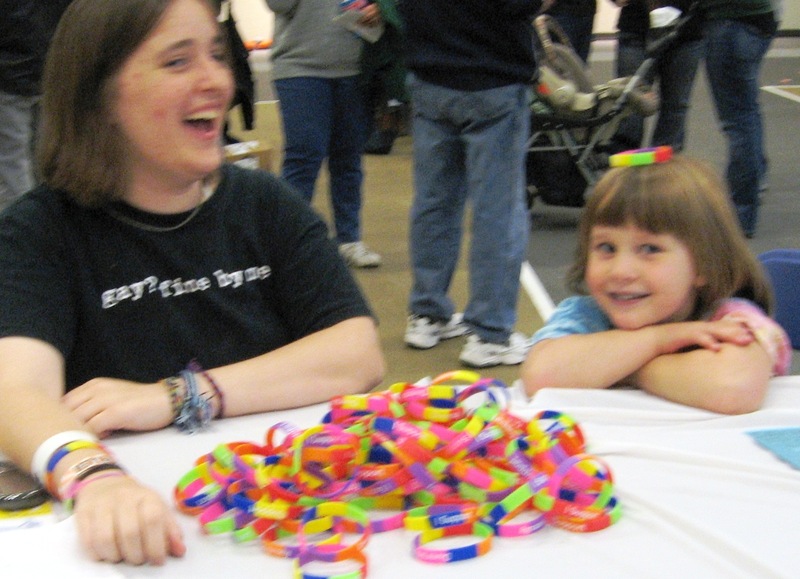 Also at the Habitat for Humanity table was Sara Wing, a junior at YCP. 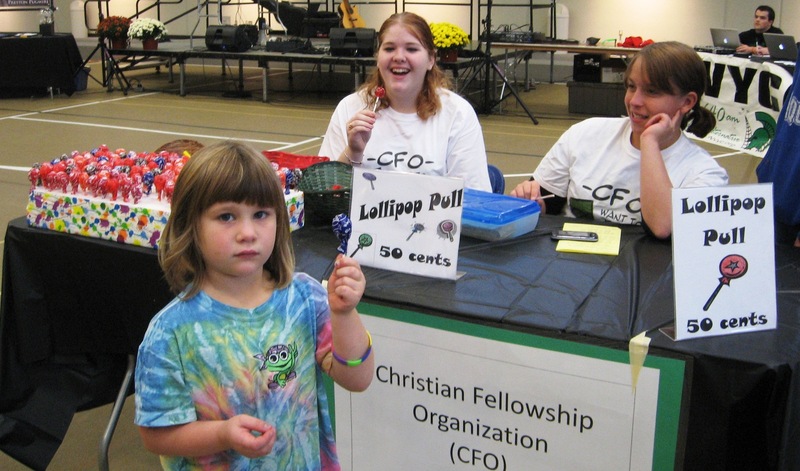 At the Christian Fellowship Organization, Tesla met junior, Jill Irish and senior, Kim King. They had a box of lollipops and the prize was determined by the color at the end of the stick. Senior, Barry Holmes drew the crowd’s attention as he took a pie in the face to raise funds for Theta Phi Alpha. Holmes enjoyed the attention from the crowd and the women of this social fraternity. Senior Megan Hatch enjoys a dog and helps save a cat. 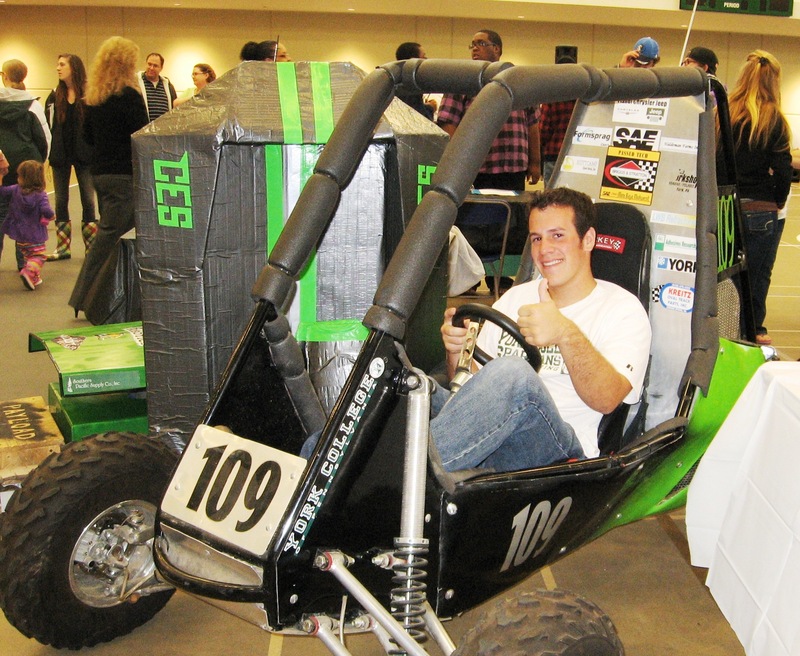 The Collegiate Engineering Society’s 6-year-old Mini Baja was a crowd favorite. Currently, the society is working on a Formula S.A.E. or Specialized Automotive Engine and will take the finished project to Michigan in May of 2012. 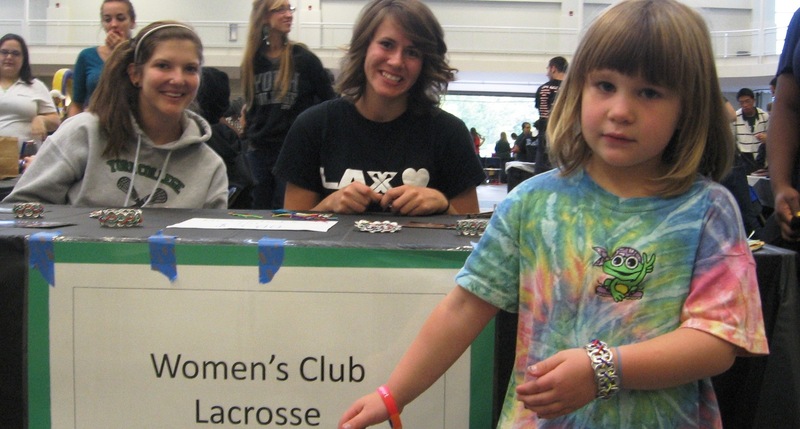 The Women’s Club Lacrosse table was hosted by juniors, Megan Otterbein and Katrina Heintz (pictured) and Neena Foster. 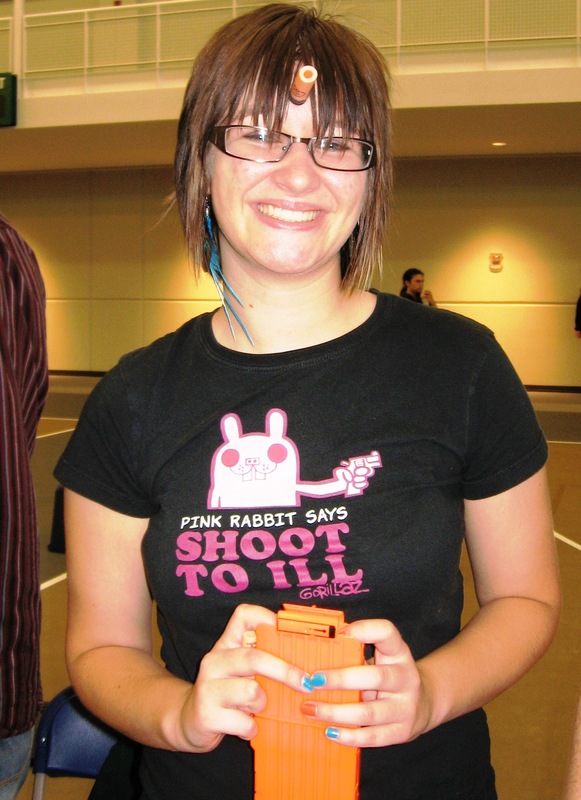 Tesla was taken by the recycled soda tab jewelry and snapped one up for just $3 of her mother’s money. 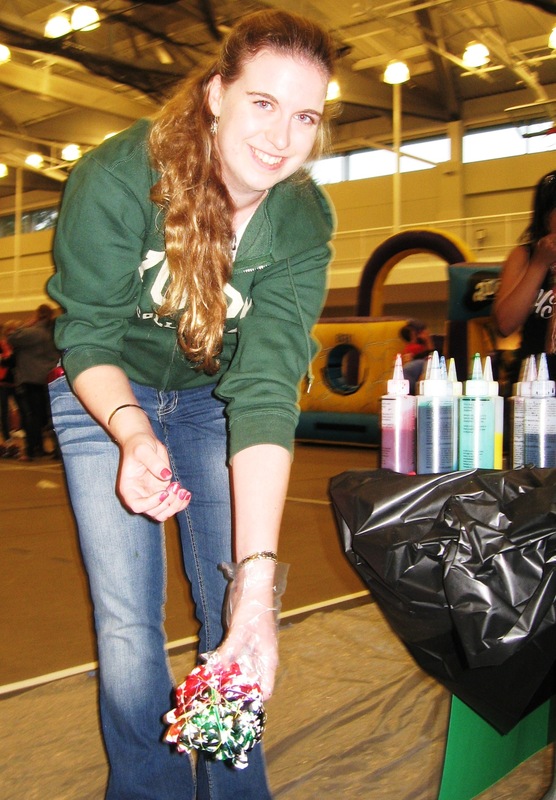 Outside of Fieldhouse, in the lobby area, Phi Sigma Pi was cheerfully making cotton candy. Senior, Andy Crimone, spun the fluffy sugar treat, and was backed up by sophomore Katie Warg, junior Amanda Fanizza and senior, Kristina Larmen. Watching the process of cotton candy making was very entertaining. 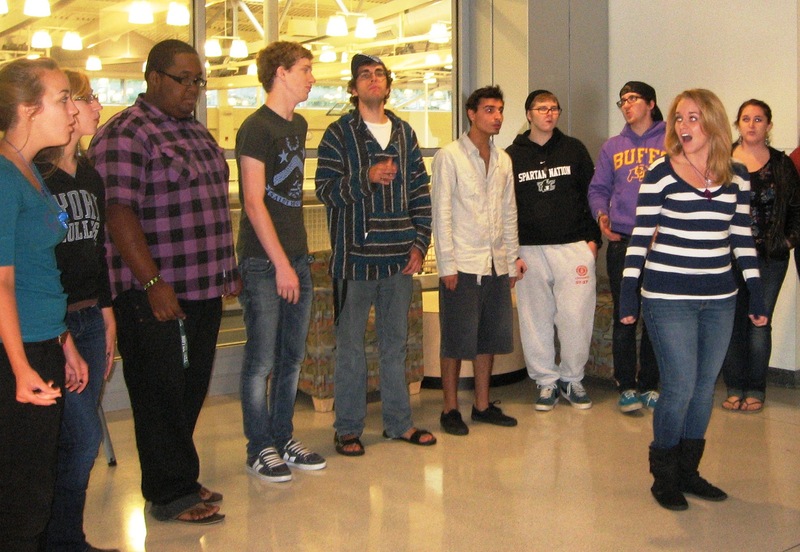 An impromptu a capella group broke out in song at the top of the stairs. A huge crowd gathered to hear the beautiful, blended voices of Spartan students. They preformed several numbers to satisfy the crowd. Relaxing in a chair, just past the singers, was Matt Wolfe, parent of freshman, Amanda Wolfe. 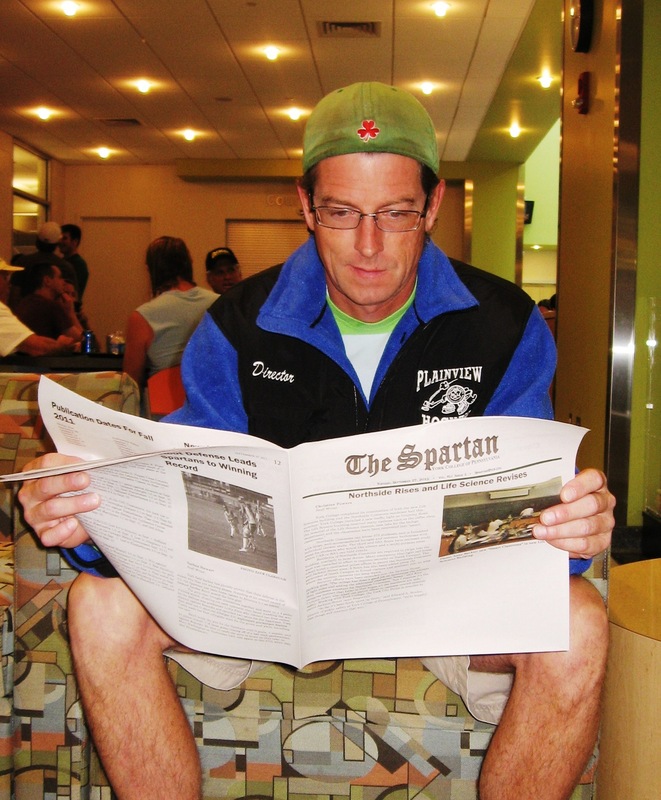 He found the latest edition of The Spartan and was enjoying some time off his feet. 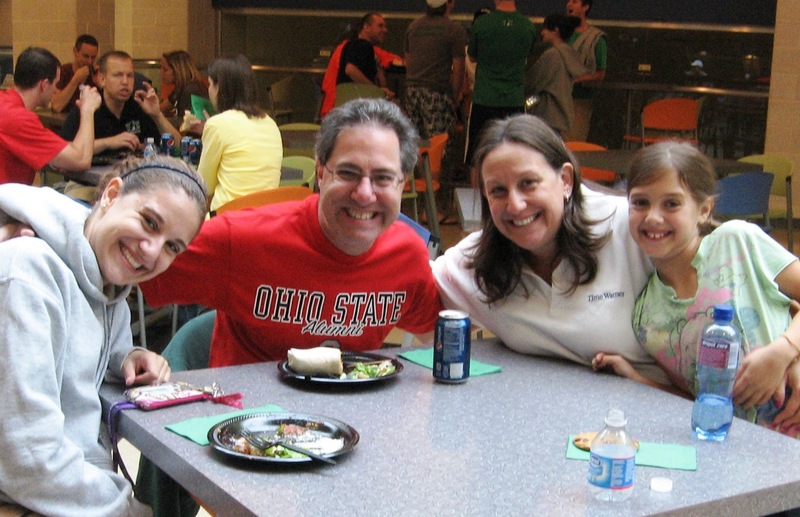 In the “Reserved for Alumni Dining” area, the Greenwald family gathered for a meal. 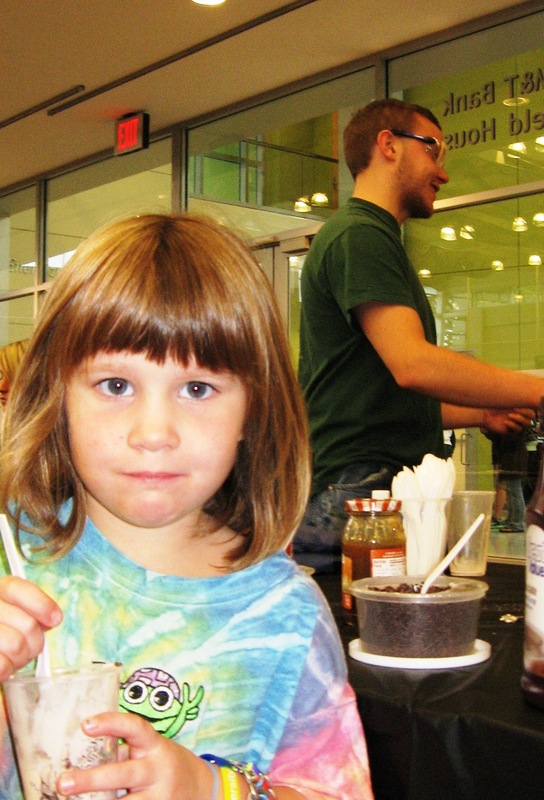 Freshman Samantha taught her family a trick she learned on campus. If the food is free, eat first, answer questions later. 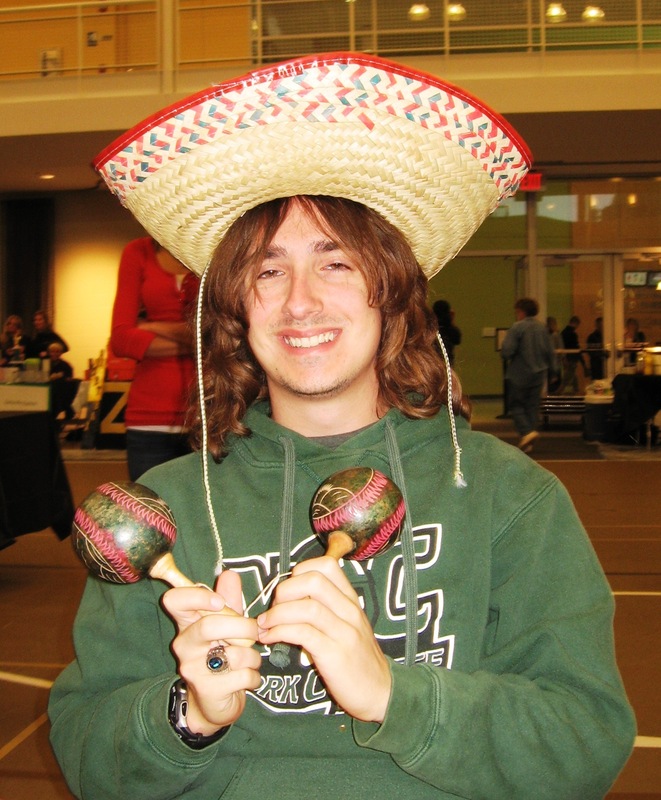 Acoustic singer, Preston Pugmire preformed onstage several times. His style of singing was unique, especially when using a megaphone. 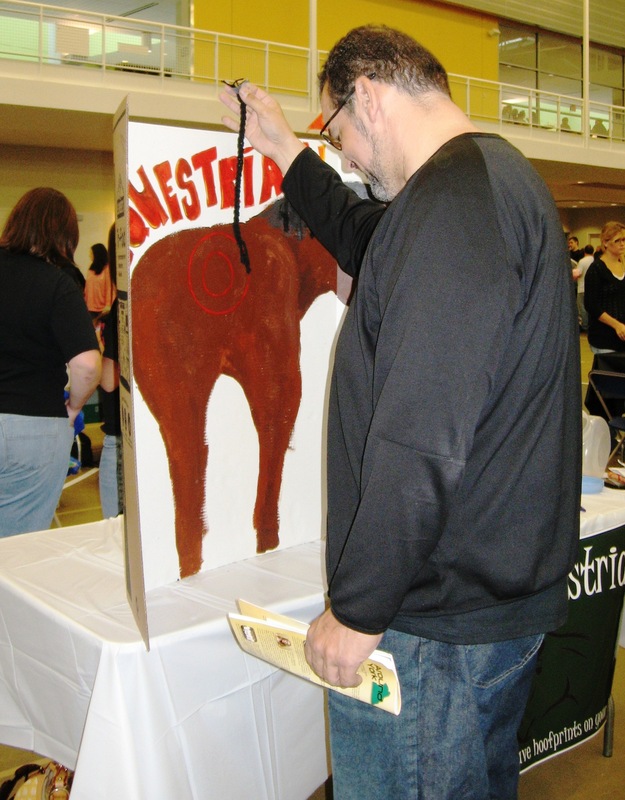 Pugmire, from Idaho, joined YCP for Fall Fest featuring his musical talents and creative, photographic art work. His website can be found at www.prestonpugmire.com. 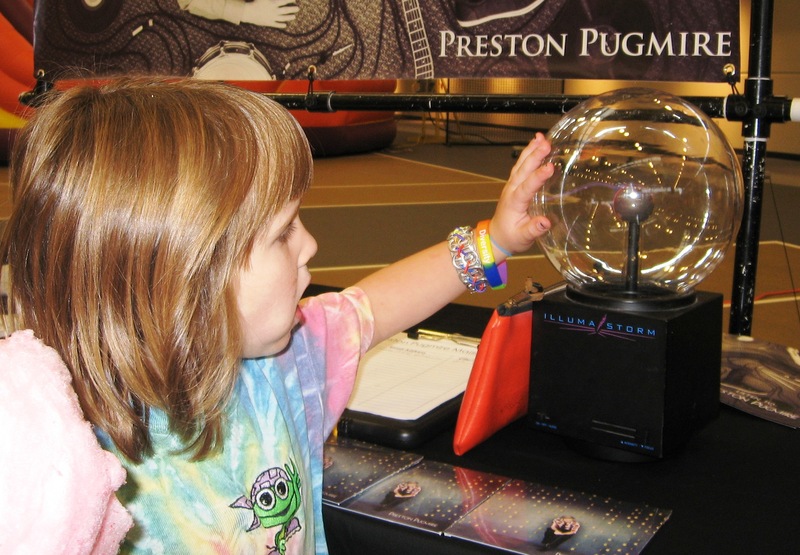 Tesla was fascinated by Pugmire’s Tesla Coil on display with his soundtracks and photographic art call cards. 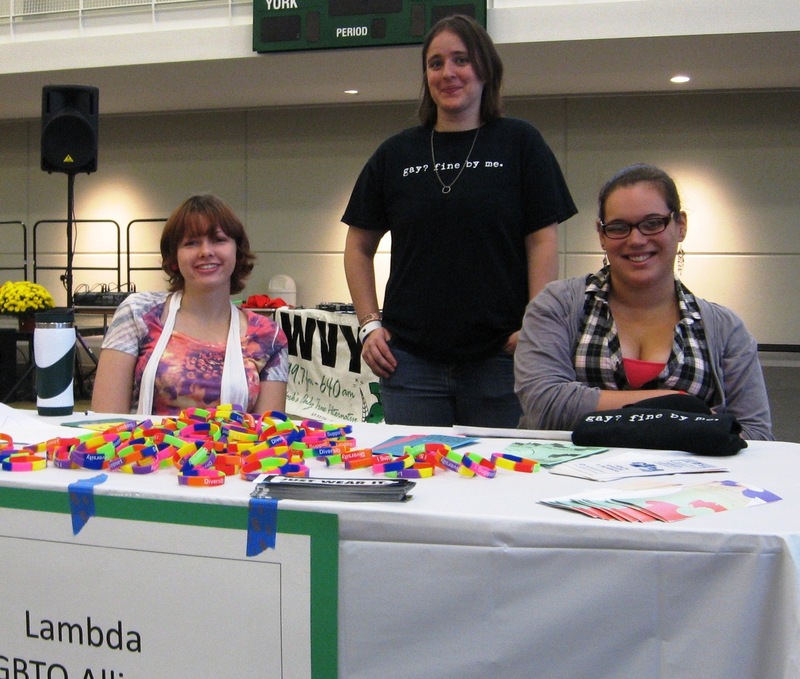 At the Lambda table, sophomores Darian Kiger, Ri Ray and Hannah Wagoner sold rainbow-colored bracelets as a club fundraiser and gave out free bumper stickers stating “Just Wear It” in both English and Spanish. Making a statement without saying a word. M.E.N.C. or Music Educator’s National Conference was selling nacho’s and cheese at one end of their table and at the other end, they tie-dyed t-shirts to support their club. 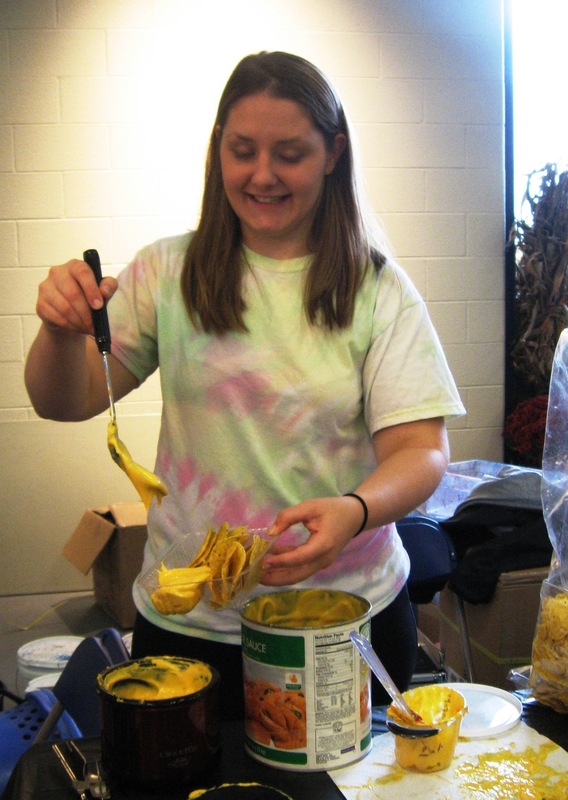 Angela Bowers, a senior at YCP ladled the cheese, and junior, Jeanne Hill tie-dyed a t-shirt and her fingers at the same time. S.I.F.E. 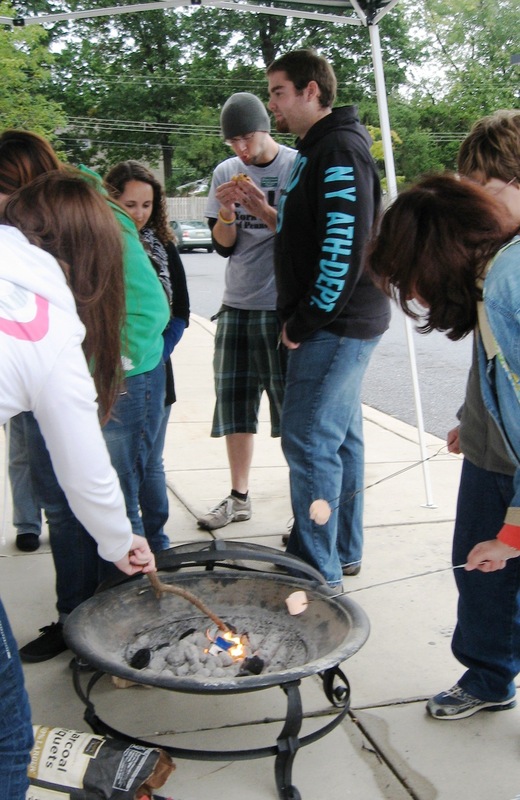 or Students In Free Enterprise toasted up S’mores as their fundraiser courtesy of their sponsor, Kraft Foods Inc. The charcoal fire pit also helped take the chill off the day. Where the cold people with sweet tooths gathered. Sean Jones, father of freshman Narissa Jones joined in on the fun at the Equestrian Club table. Promising his eyes were closed, he attempted to pin the tail on the horse. 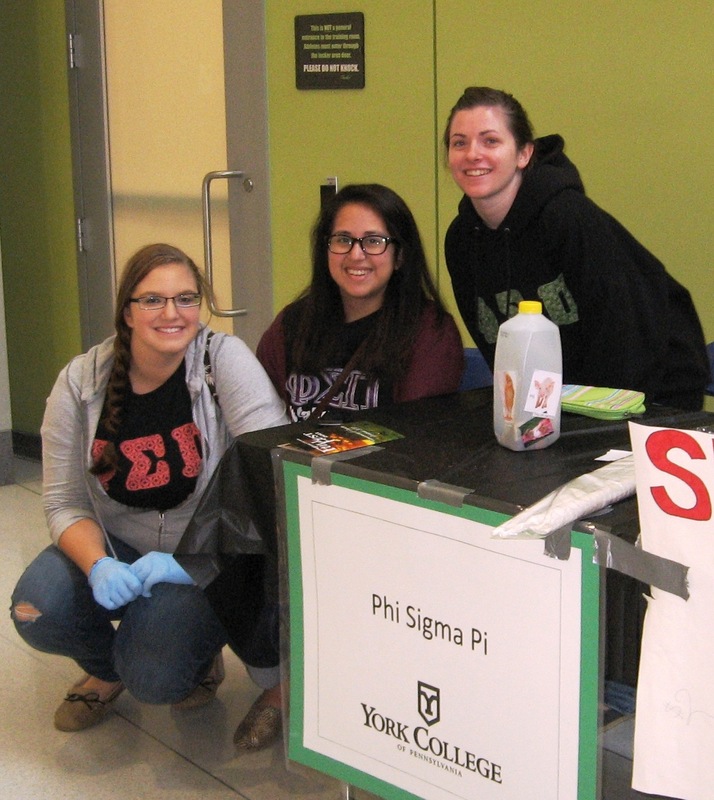 The Chemistry Society had a profitable fundraiser that drew a crowd every time they “cooked up” a fresh batch of ice cream. 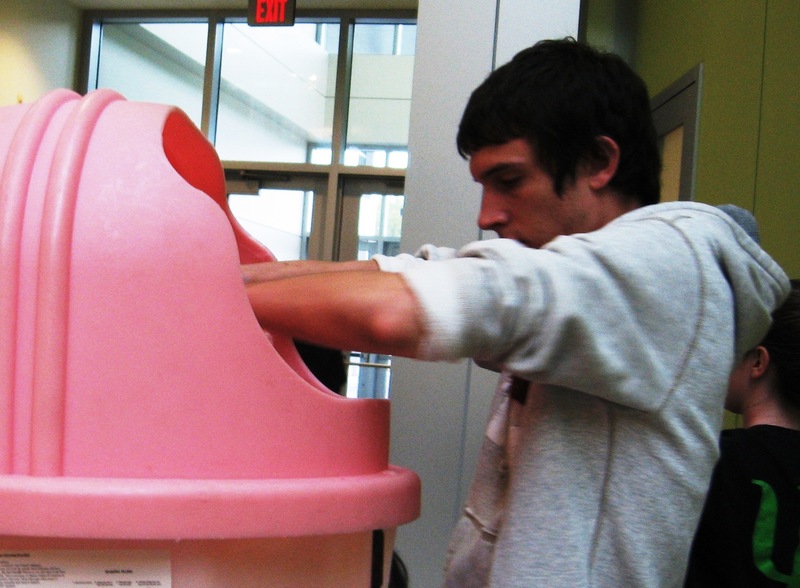 Patrick Benecewicz, a senior, took the ice cream making serious with everyone wearing safety glasses and gloves. It was a good precaution as ice cream was accidentally spattered in one of the members face during the mixing procedure. The Dance Group show began at 2 pm. The floor area in front of the stage was packed tight but to the surprise of the spectators, the dancers leaped off the stage and danced up close and personal. Tesla Delauter came close to becoming part of a conga line. 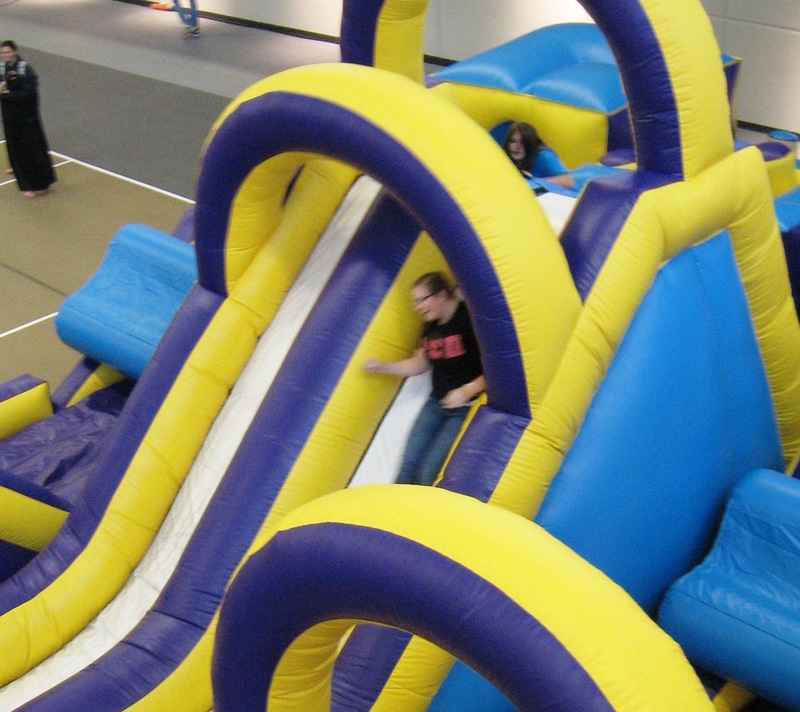 The inflatable races remained popular all day. 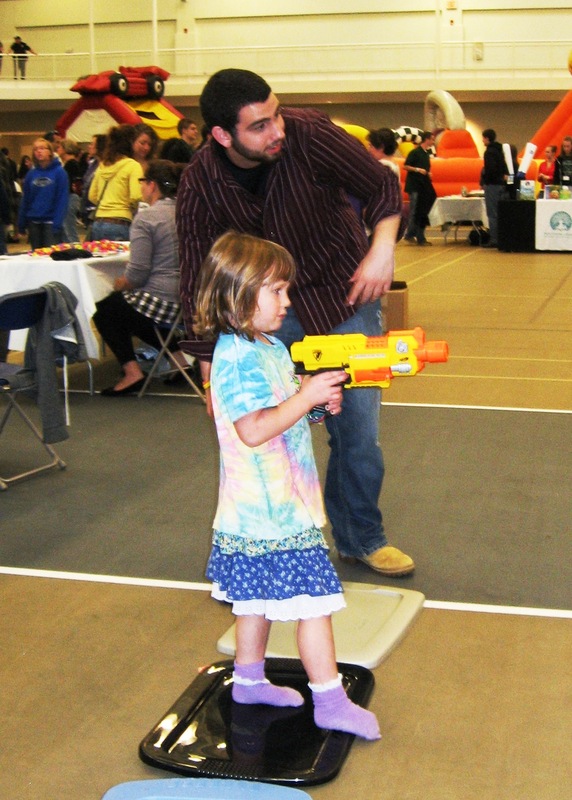 Children, students and parents joined in, always vying for first place. 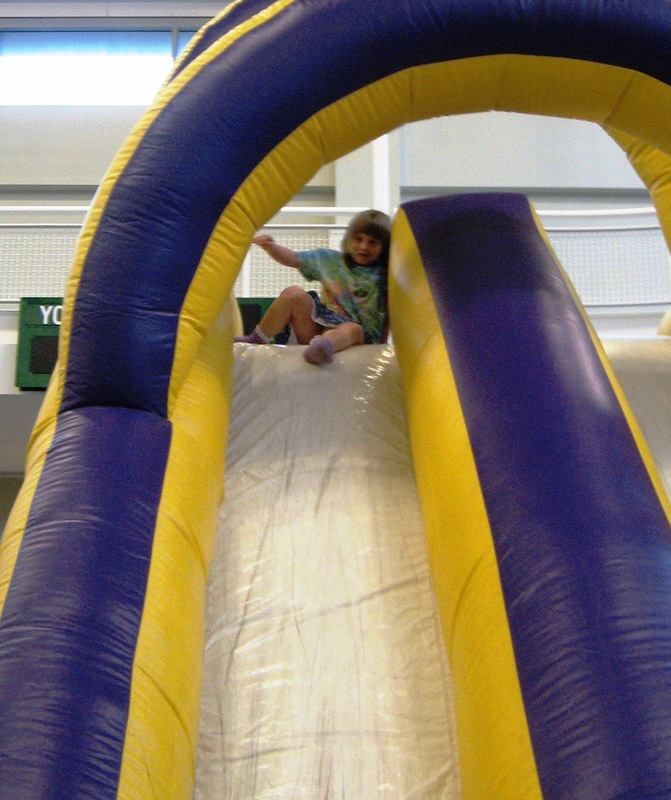 The inflatable games also provided an outlet of energy for all who took on the challenge. Finishing up the day for “personal signs” was John, parent of at least one student at YCP. 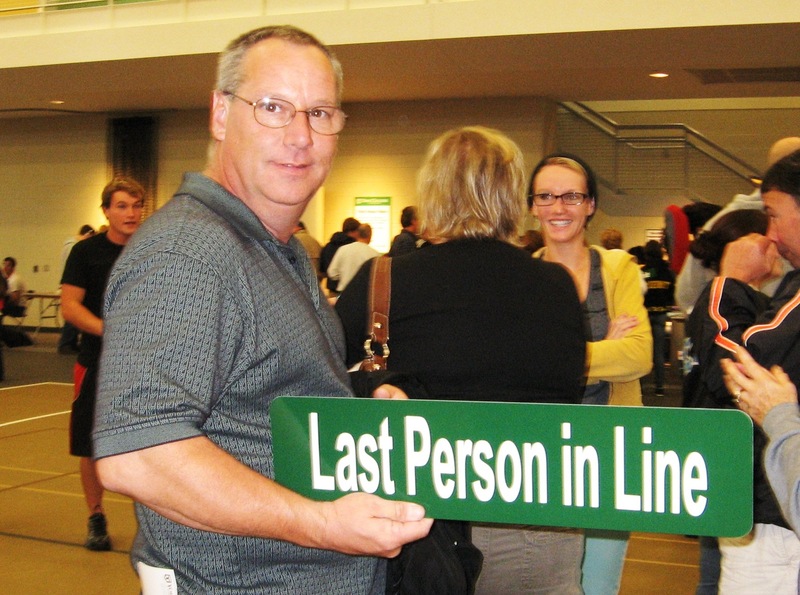 When asked his name to notate who he was the “Last Person in Line” declined with, “Johns good enough, my kid(s) will think I’m stupid.” Not to worry John, we don’t think your stupid, just paranoid about coming in last. 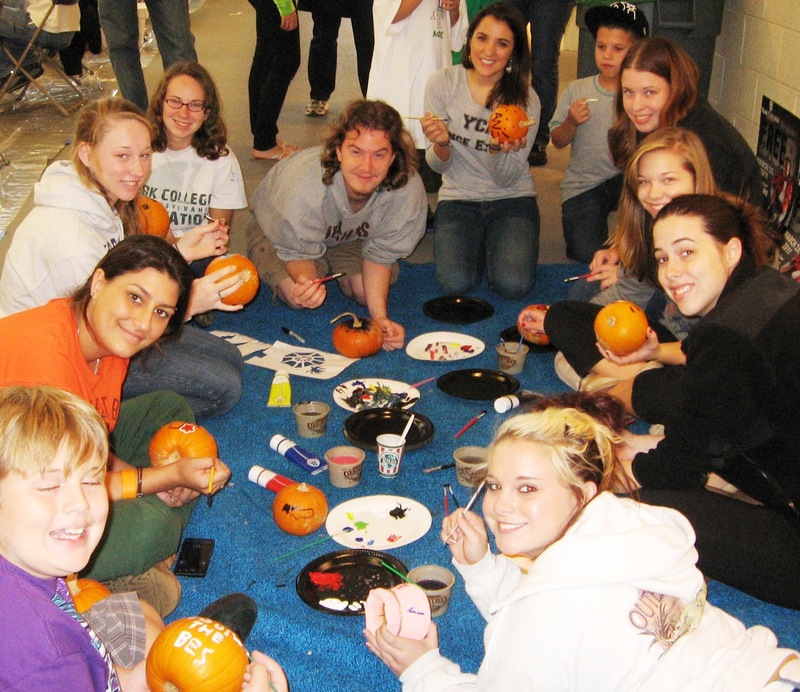 YCP’s Fall Fest was a huge success for all who attended. The Spartan’s know how to kick off the fall season. 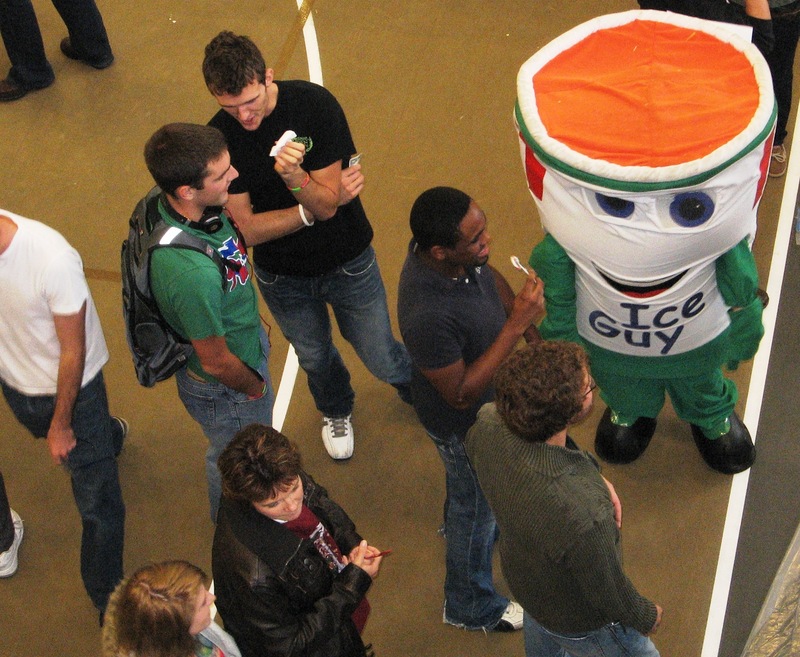 For upcoming campus events check the MyCampus online announcements. Another John who doesn’t want to be known! 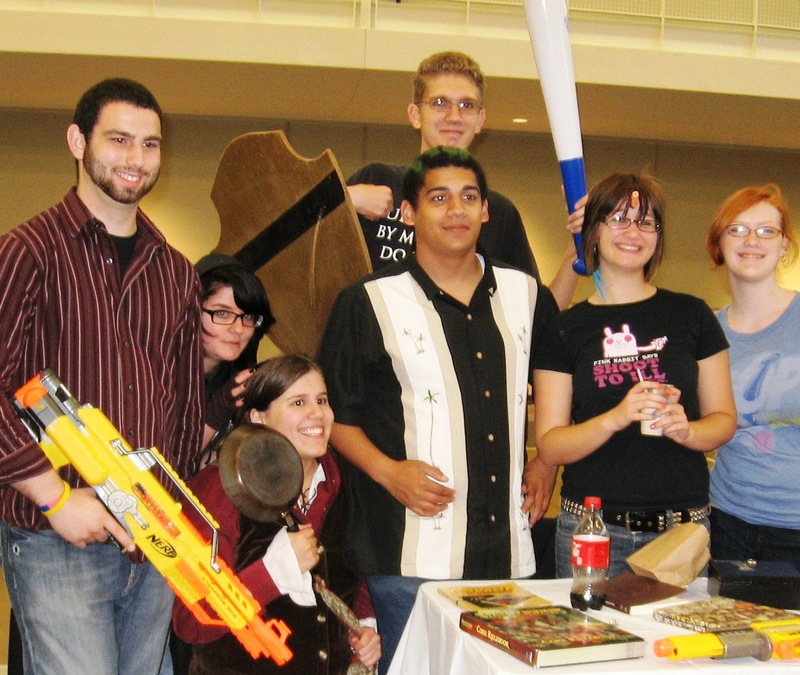 Slideshow of York College of PA’s Lambda Drag Show held on March 18th. Great job contestants and for the first time ever….a tie for Queen! Thank you host, Brian “Cookie” Holt! Drag Show at YCP FREE! YCP Drag Show click for details on the show March 18th at York College of PA. Fun night for all!